It's NURIKABE PUZZLE. Click on the name for the rules. I hereby will refer to Palmer Mebane blog for the rules of some of the puzzles as i found his description of puzzles is well written and explained. It just took 10 min to create this puzzle. So it ended up with too ease. I will make it more tough next time as this is just the beginning. 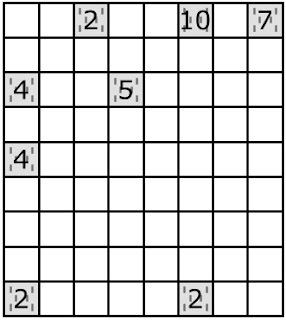 I have also published this puzzle on a puzzle website.